I feel like these past few weeks have been quite eventful, even though nothing major has happened. The first, fairly big thing I suppose, was that I decided finishing work a week early would be for the best. I’ve been getting home exhausted and had a few early shifts in a row, which meant getting up at 5.45am after nights of tossing and turning trying to get comfortable. My editor was really lovely about it and completely understood, so Friday was my last day! I can’t quite believe I won’t be going back for up to a year, and it was very surreal leaving for the last time. 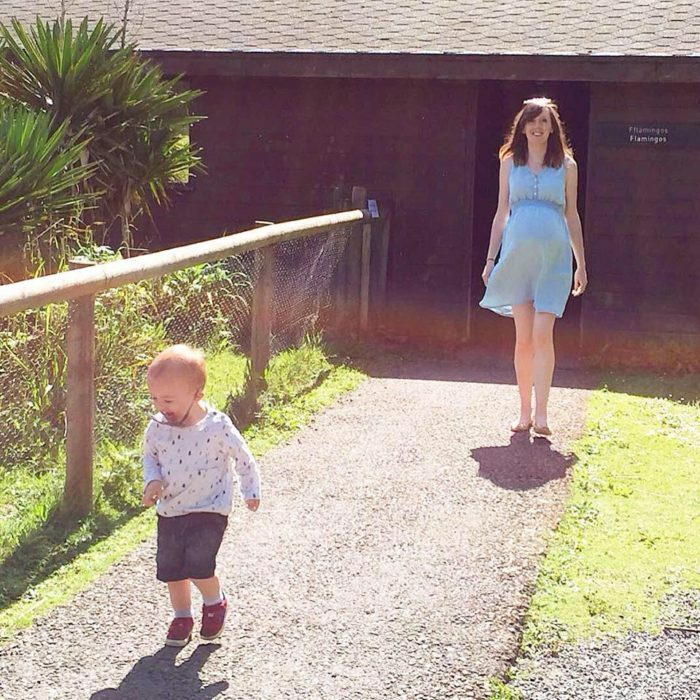 I’m not naive enough to think it’ll be a holiday (despite most of my colleagues saying “enjoy your time off”), but I feel very lucky that we’re in the position that I can take extended maternity leave to be with our little ones for as long as possible. I’ve also had two surprise baby showers in the past fortnight, which both involved my favourite activity – afternoon tea! It was lovely to see both sets of friends as it’s so hard to find the time to get together – especially with the mothers from my maternity leave with Santi. It’ll be so nice being able to join in their weekday catch-ups while I’m off … and I’m sure they’ll all be more than happy to hold the baby for me to chase after Santi! Apart from that, we’ve just been plodding along with trying to get things sorted in the house. I think Stew is nesting as he’s suddenly started gardening and hoovering … at least one of us has the urge to clean! I’m going to use my time off before baby arrives to get little bits done here and there – as tempting as it is to plough into things, I have to remember that I finished work early to rest up a bit, and going crazy with cleaning isn’t going to help. To me, it seems to have shifted and is definitely a lot lower now. It feels really heavy, and rests on my legs when I sit down which isn’t something I’m used to. I’m a bit gutted that I have my first stretch marks around my belly button (which has completely popped out and is gross) – I’ve come so far I was hoping to get away without any again this time. I’m trying to stop them from spreading with some amazing smelling wild argan oil from The Body Shop, but it might be too late. I might also be developing a waddle. I’m sure it’s very attractive, but it’s the only way my little legs can take my weight. I just walked home from town at a snail’s pace because I physically can’t move at a normal speed any more. I think it drives Stew crazy when we go out because he’s a marcher, but I’m going as fast as I can! I saw the consultant this week, and was hoping she’d give me a date for induction. But no, she read my notes from the last appointment, wrote practically the same thing for this time and booked me in for a scan in two weeks. I’ll be nearly 39 weeks by then with seems a bit late for a scan … Hopefully the baby will be here before then! On Thursday I had my last appointment with the diabetic team (woohoo!). I was put on Metformin, which I was expecting because my fasting sugar levels have been too high and there’s no way of controlling those with diet. I’ve had a few side effects from the tablets – cramps and a slightly upset stomach – which isn’t great when you’re at the stage of looking out for any changes in case it’s the start of labour. I’m so glad I wasn’t prescribed them sooner because even though I know they wouldn’t recommend medication if it wasn’t safe, the instructions say not to take Metformin if you’re pregnant or trying to conceive … that would have really worried me if I’d had to take them for a prolonged amount of time. 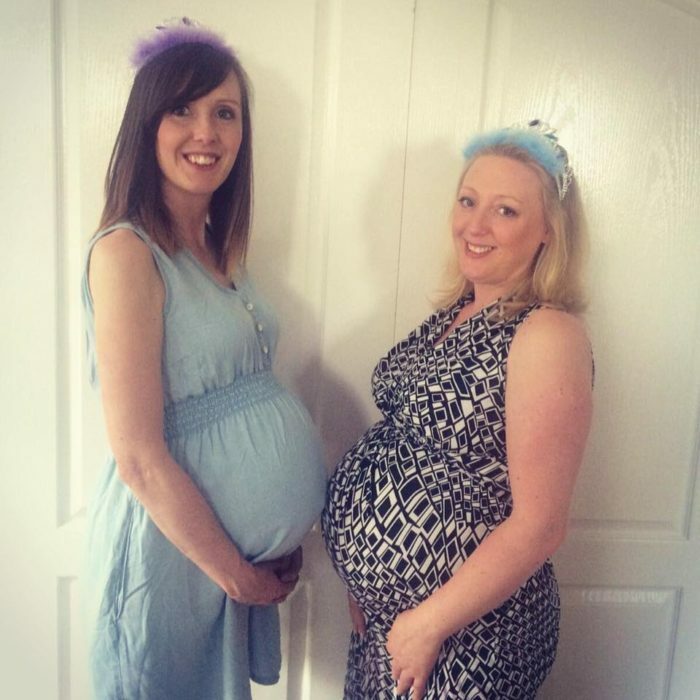 I still haven’t seen my community midwife … I think the last appointment I had was at 20 weeks. That can’t be normal! Baby is the size of… A winter melon, or butternut squash. I might stop reading these soon! 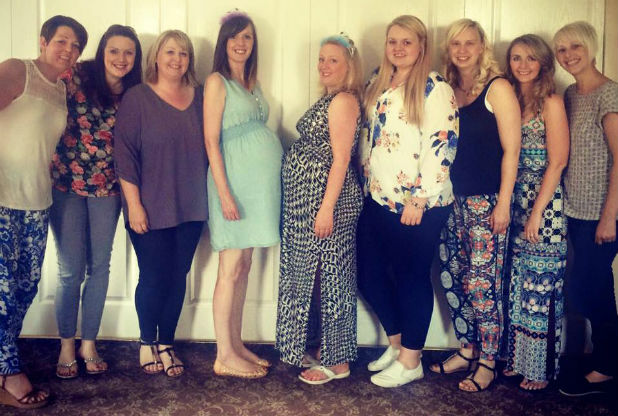 I’m not going to go with our predictions this week, but the sweepstake the mammy group did at the baby shower. The results were … boy: three (one was mine), girl: 6! I’ve also just spotted that someone predicated a due date of June 26 … I really, really hope they meant May!!! Umm, it might not have been the most productive on the shopping for essentials front. I did start an online Zara shop for Santi’s summer clothes, but managed to lose it (twice! ), so didn’t even get that sorted! I need to make a list, pronto. A long-awaited Nando’s lunch with people from my old office, and two of my lovely uni friends popping down to see us this weekend. I’m also actually looking forward to having a chance to get things sorted, giving my hospital bag a second look through to check everything’s in there, having more time with Stew and Santi before we’re thrown into newborn chaos, and hopefully having a bit more energy now that I’m not in work. Although as baby could technically come at any time I might not get any of this done!